Considering the recent advancements in driver/passenger safety technology, it is no wonder that so many consumers are now studying the crash test results for new model vehicles. Safety ratings are now an important vehicle consideration, and prospective buyers are scrutinizing safety results closely. 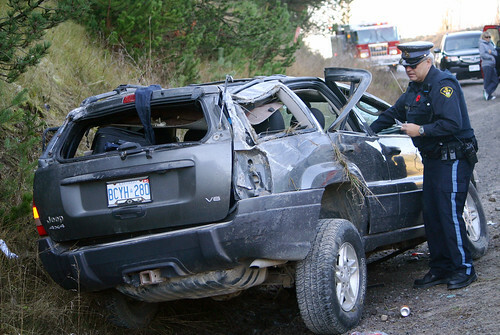 Today’s SUV models are, for the most part, very safe in terms of passenger safety in a collision. This was not always the case. 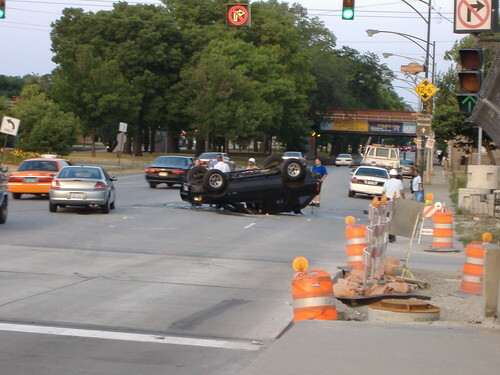 In years past, the large SUVs had major problems achieving satisfactory scores when it came to rollovers and side-impact collisions. Most of the current SUV, or crossover models, pass the IIHS tests with flying colors, but it is still a good idea for consumers to check the results and use the information as a buying guide. Some of the popular models currently on the market are discussed below, along with their IIHS crash test scores. The Insurance Institute for Highway Safety – abbreviated as IIHS – gives a score of Good, Acceptable, Marginal, or Poor for each of five tests. These tests are for moderate overlap front, small overlap front, side collision, rear collision, and rollover. Rollover is one of the most studied of these tests because some SUV models have scored very poorly in past years. For example, in 2012 the Acura RDX scored only Marginal in the rollover test. However, the all-new 2013 RDX has changed that and improved to a Good score. Moderate overlap tests concern the structural damage to the SUV when the front crumple zone has been affected. Small overlap scores are determined after looking at the structural integrity of the vehicle if the forward crumple zone has not been affected. Side collision test scores are based on the affected passenger area when a collision occurs from the right or left. Rear collision tests are given to determine how well seatbelts and head restraints work to protect occupants against whiplash. The rollover test is given to ascertain the vehicle’s roof strength. To earn a Top Safety Pick, the vehicle tested must achieve a Good score in four of the five tests, and an Acceptable or better score in the fifth test. Among those vehicles in this category earning a Top Safety Pick are the Ford Escape, Honda CR-V, Jeep Patriot, Kia Sportage, and Mitsubishi Outlander Sport. All of these models received a Good score on all four of the tests given. None of these small SUV models were given a front small overlap test. The 2013 Nissan Rogue and the 2012 Toyota RAV4 both received a score of Good on the front, side, and rear tests. However, they scored Acceptable on the rollover test. The 2013 Mitsubishi Outlander scored Acceptable on the rollover test as well as the rear collision test. A total of 13 models achieved a Top Safety Pick award for the current 2013 model year. These include the Chevrolet Equinox, GMC Terrain, Dodge Durango, Ford Explorer, and Honda Pilot. The 2013 Toyota FJ Cruiser scored only Acceptable on the rollover test, and the Mazda CX-9 was given a score of Marginal on both the rear collision and rollover tests. The four most popular large SUVs tested for the 2013 model year are the Buick Enclave, Chevrolet Traverse, GMC Acadia, and Volkswagen Touareg. Each of these models scored Good on all tests given, earning them a Top Safety Pick for 2013. The 2013 Audi Q7 received a score of Good on all three tests given, but this vehicle has not been tested for front small overlap or for rollover.